Riga has been undergoing something of a reinvention in recent years. It has moved slowly yet steadily away from its previous reputation as a cheap and cheerful destination for ‘lads on tour’ and budget travelers and shifted towards a more cultural and creative image. Now it is a place for groups yearning for something a bit different and enjoy more unconventional activities. If you consider yourselves on the eccentric or avant-garde side of life, then here are our top cool and unusual things you can do on a unique and alternative visit to Riga. Free Riga is an alternative social movement in operation in the Latvian capital since 2013. The group works to find new, cultural and creative uses for the many empty and abandoned buildings in the city. This initiative led to the creation of three separate creative territories. Tallinn Street Creative Quarter, D27 and Lastadija were once derelict areas, warehouses or factories that are now transformed into thriving, vibrant cultural centers. This is where small independent businesses have set up bars, cafes, shops and studios. Groups looking for a real taste of local life outside the Old Town walls can visit. They can enjoy the regular parties, exhibitions, events and concerts that happen in these atmospheric hubs of creative expression. The concept of taking over abandoned buildings and making them into cultural spaces all began at Kanepe Culture Centre. This centre quickly became the most popular alternative cultural hub in the city since opening in 2012. Bringing the term bohemian to the next level, this atmospheric, artistic and hugely popular local hang out is housed in a run-down old building. It has new life breathed into it in the form of music, art and dynamic youthful energy. Don’t miss this place if you want to get a real feel for alternative Riga at its very best. Hidden away behind a beautiful Art Nouveau façade right in the centre of Riga is the eerily secretive former KGB headquarters known as ‘The Corner House’. Once a detention centre for locking away, torturing and often executing political prisoners of the Soviet regime, the building is now open as a haunting museum. 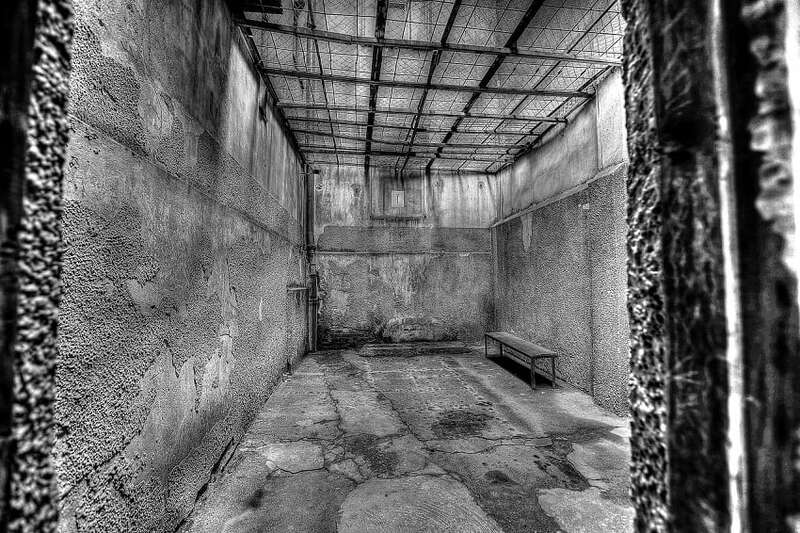 Strong-stomached visitors can see the tiny cells that prisoners were crammed into. They can also learn about the horrendous tortures that were inflicted by the brutal and dreaded KGB secret police. The Old Town centre of Riga is beautiful and historic. It is also pretty touristic and not a real representation of urban city life. For a more authentic experience, head to the amazing street food market at the Kalnciema Quarter on the opposite side of the river. This is a lively and colourful spot where delicious world food is sold from pop-up stalls. Live music often plays in the background. The city also has a wealth of awesome things to see and do, eat and drink. It makes an excellent location for those looking to get away from the lads on tour style trip. For more information and a collection of unique stag activities in Riga, head in to our dedicated page and get in touch!